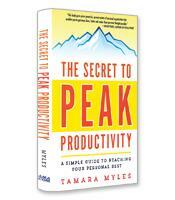 Certified Professional Organizer (CPO(R)) and productivity expert Tamara Myles has developed a simple model--the Productivity Pyramid--which provides an actionable framework for anyone to achieve better results. Based on a sequence of steps leading to peak performance, the author provides an easily adaptable five-level system. 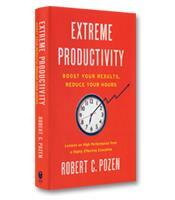 How to assess your own productivity strengths and weaknesses based on your own personal style. Techniques to tailor your own personal productivity plan to be more effective. Ways to get rid of clutter, including a rapid organization system for paper. How to enhance your productivity around the five parts of the Peak Productivity Pyramid: physical organization, electronic organization, time management, activity-goal alignment and possibility.